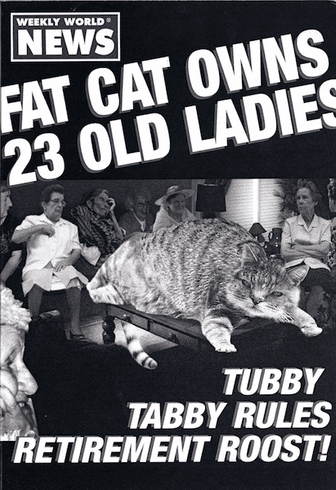 Outside: Weekly World News Fat Cat Owns 23 Old Ladies Tubby Tabby Rules Retirement Roost! Inside Reads: It's your birthday; the cat's out of the bag! Happy Birthday!